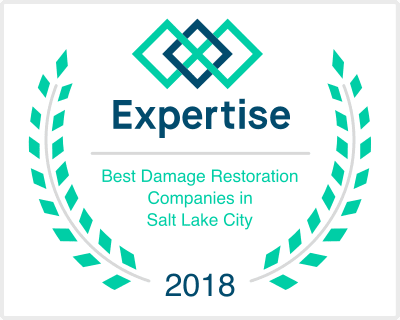 If you are looking for a water damage restoration company serving Layton, look no further than Disaster Doctors. We service Layton with rapid response time, usually under an hour. We’ll be at your home in no time ready to begin the water extraction and flood repair process. Water damage can happen in several ways, including plumbing failures, rain water entering through a window or cracked foundation, or even faulty appliances. If you happen to unfortunately experience any of these issues, simply give Disaster Doctors a call today, and one of our licensed, certified crews will come to your Layton home or office quickly. The reason we believe in providing a fast response time is the longer you let water sit in your home, the more damage it will do. Disaster Doctors wants to have a team at your home starting the water extraction and flood cleanup process right away. “Disaster Doctors is a great home restoration and cleanup company, run by truly honest and genuine people. Cameron is such an incredible business owner who loves helping make every situation a win-win-win. He goes above and beyond to correct any issues and always made sure we were happy even while going through our home “disaster.” When disaster calls, call the doctors, they will be there to save the day.” – Alaina R.
“We actually had an awful experience with another disaster company who charged us double to triple what it should have been. Disaster Doctors were so helpful and went through each line item on a 78 page invoice to help me to know what was fair and what wasn’t. They were fair on their pricing and knew industry standards. I’ll definitely use them next time!” – Natalie P.
You’ve just dealt with a disaster, the last thing you want to deal with is the insurance company. Disaster Doctors will take care of the insurance process for you, handling the claim and most of the paperwork. That way you can focus on your family and let us deal with the particulars. Disaster Doctors doesn’t only handle flood cleanup, we take care of the entire project, from cleanup, to dehumidification and complete drying, and even complete restoration of the damaged area. This will save you the hassle of having to deal with multiple companies. The first thing you’ll want to do when you notice flood water in your home is to give a responsible Layton water damage restoration company a call. The longer you wait to make that call, you run the risk of more damage happening to the flooded area. You might think all you need to do is run a shop-vac over the flooded area, but that is only the tip of the iceberg. From the time that flood water has made contact with your home, it’s doing damage. An impartial cleaning means that damage can still be done to the framing, flooring, and foundation of your home. Not completely drying the flooded area also welcomes the growth of potentially dangerous mold. After all water has been removed from the flooded area, our crews will begin the drying and dehumidification process. This process involves use of expert drying techniques and top-of-the-line dehumidifying equipment to ensure that no moisture is left behind. It also ensures us that the area is free and clear of any mold growth, dangerous pathogens, and foul smelling odors. Hiring a questionable water damage restoration company may lead to them cutting corners on the drying process, which could leave you with thousands of dollars of more damage down the road. After our expert crews have confirmed that all moisture is gone and the flooded area is dry, we will then begin the restoration process. Disaster Doctors is a fully licensed general contractor, so we can repair any part of your home that was affected by the water damage. We will repair it all, including flooring, drywall, framing, electrical, and anything else affected. Disaster Doctors will do everything it takes to make sure that the flooded area looks brand new, and not show any signs of water damage. If you would like us to get started on your flood damage today, give us a call right away. Disaster Doctors also handles sewage cleanup in Layton. Sewage can be the worst kind of damage to your home, as raw sewage is full of dangerous pathogens, and other harmful bacteria. Water contaminated with sewage should always be considered an emergency, and should be something you get a professional to clean up and repair. There is too much risk to your family to try to do a DIY job when it comes to sewage cleanup. If you have any other questions, feel free to give us a call today. Layton was settled in the 1850s. The city is named after Christopher Layton, a Mormon colonizer and leader. It was included in the boundaries when an a joining area was incorporated as a city in 1868, but by the 1880s many Layton residents wanted to separate from the city. They challenged the city’s authority to tax their property, claiming they received no municipal services. This dispute reached the United States Supreme Court in 1894 as the case of Linford v. Ellison, which was decided in favor of the Layton property owners. The separatist movement finally succeeded in 1902, when Layton became an independent unincorporated area. After further growth it was made an incorporated town in 1920. Layton is home to attractions such as Valley View Golf Course. We provide water damage Layton UT services to 84041.